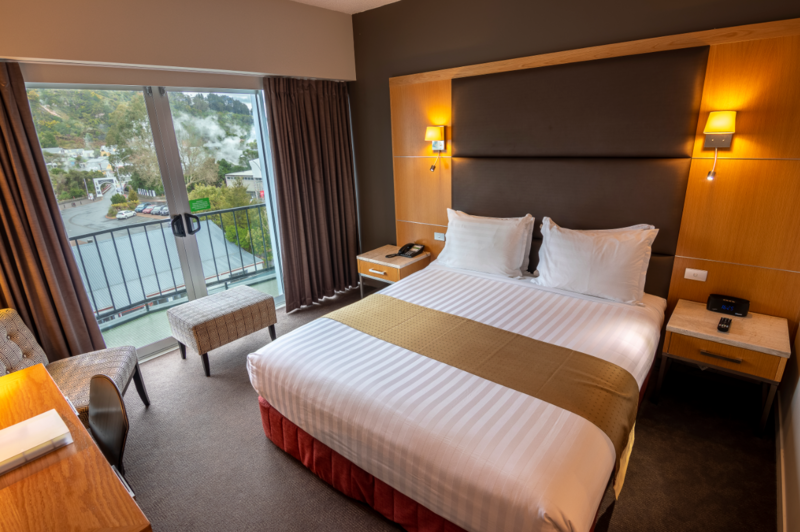 يقدم فندق Holiday Inn Rotorua العصري إطلالة على محمية واكارواريوا الحرارية والقرية التاريخية، ويوفر مواقف مجانية للسيارات وإمكانية استخدام المسبح المدفأ ومركز اللياقة البدنية مجانًا، ويمكن لطفلين كحد أقصى بعمر أقل من 12 عام تناول الطعام والإقامة مجانًا. تتميز الغرف المكيفة في Holiday Inn Rotorua بتصميم فني عصري وتحتوي على تلفزيون مع قنوات الكابل وأفلام مجانية وقناتين للأطفال، كما تتوفر مرافق لصنع الشاي والقهوة. يقدم بار ومطعم Chapman الحائز على جائزة، قائمة مأكولات وبوفيه ومأكولات نيوزيلندية عصرية مصحوبة بتشكيلة مناسبة من النبيذ الفاخر، كما تتوفر خدمة الغرف على مدار 24 الساعة وطوال أيام الأسبوع. يقع Rotorua Holiday Inn بالقرب من جميع معالم الجذب السياحية في المدينة وتتوفر خدمة نقل مجاناً من مركز المعلومات السياحية روتوروا. 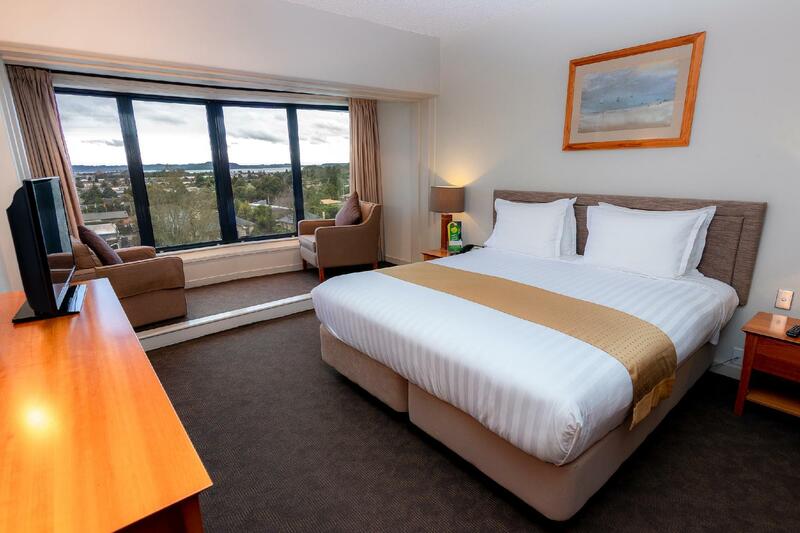 يقع Rotorua Holiday Inn على بعد مسافة قصيرة بالسيارة من العديد من مسارات ركوب الدراجات الجبلية الشهيرة في مدينة روتوروا، ويشمل مكان الإقامة على محطة لتنظيف الدراجة الهوائية ومنطقة لتخزين الدراجة الهوائية. يرجى الملاحظة بأنه يتم تطبيق تكلفة إضافية بنسبة 1.5% عند الدفع بواسطة بطاقات الائتمان. يرجى الملاحظة بأنه يمكن لطفلين كحد أقصى بعمر أقل من 12 سنة تناول الطعام مجاناً عند تناول الطعام مع شخص بالغ يدفع لقاء تناوله الطعام وعند الطلب من قائمة وجبات الأطفال أو بوفيه الإفطار، ولا يشمل ذلك بوفيه العشاء وخيارات الطعام أو العروض الأخرى. يمكن للضيوف طلب نوع الأسرّة المفضل في خانة الطلبات الخاصة في وقت الحجز، ويرجى الملاحظة بأنه لا يمكن ضمان توافر نوع الأسرّة المفضل ويتم تأكيده عند الوصول وذلك رهن بالتوافر. Good spot to explore rotorua from. This has been our best place to stay so far. 24hr Reception made checking in late very easy and stress-free for us. The staff were amazing, everybody always said hello. Such a happy positive vibe throughout the entire establishment from Reception through to the Restaurant and even the floor staff. Rooms were older but very clean and tidy with our room being cleaned daily. The motel was close to all the Rotorua attractions. The only thing we probably would have enjoyed was a more plush bed (our bed was on the harder side) but this has been the theme everywhere we've stayed so far. Thank you Holiday Inn for an exceptionally amazing stay, if/when we come back to Rotorua we will definitely stay again. If do not drive, need to use cabs or use hotel shuttle (need to reserve) to get to downtown to take public buses to various attractions. Toilet was leaking and bin was not emptied. Hot water pool was attractive. Long wall bench for luggage was most useful. Breakfast deal was good and prices for each type of table for the dinner buffet was convenient . Friendly staff. Now we know what Rotorua offers we would stay longer next time. 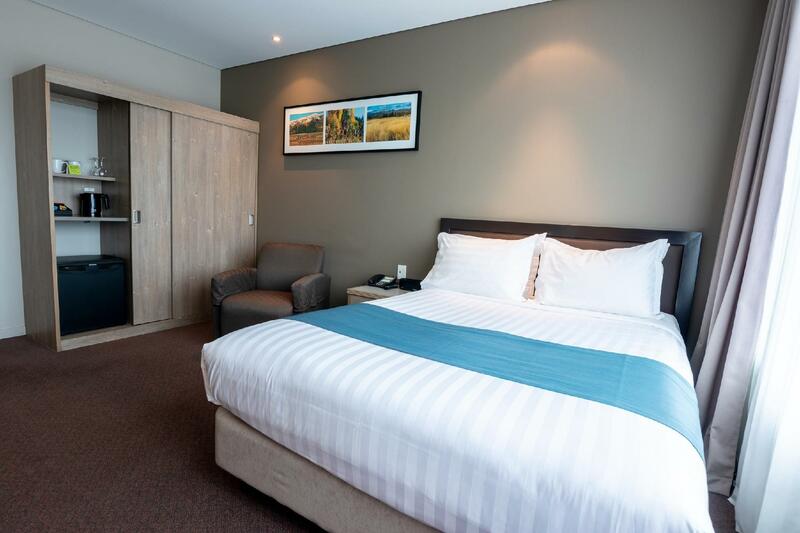 The hotel is not far away from Rotorua CBD with a lot of free paring spots. good breakfast. room was a little old with old style weak air system but still comfortable. Stay here you won't be disappointed! Stayed just the one night during the Christmas New Year break....Two couples sharing a twin room on the ground floor. Beds and the room were comfy and clean. The swimming pool and spa were deserted mid-afternoon so we took full advantage having been to Rotorua before. The water was decidedly warm, but so refreshing! Gym small but functional. We had some problems with the WIFI (and we understand another guest did too). The hotel is near some attractions, and a bit of a drive from town centre, but easy to find really. Plenty of parking around there. I have no hesitation recommending this inn. Holiday Inn itself was clean and staff were friendly and very helpful. We had a room with a view of the mountains and thermal pools which I fully recommend. The breakfast buffet was of a high standard similar to 5 star. Parking was free but with limited parking on site. Most occasions we had to park in the street. The lobby shop was messy and reminded me of a cheep $2 shop back home. Holiday inn is a good place to stay. But it is abit far from the rotorua town area. Therfore it be good if you are driving. The rooms corridor also smells of sulphur during my stay. Other than that all is good. Its near te puia, just walking distance. Staffs are friendly and pretty helpful too. 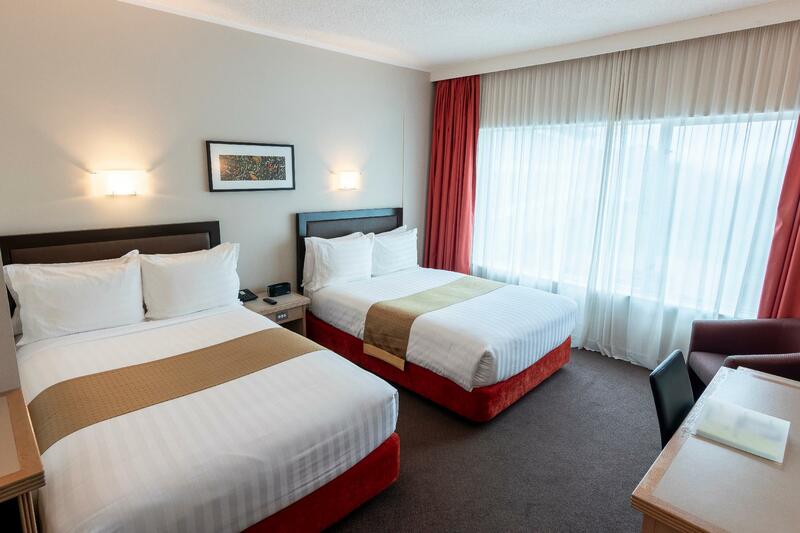 It's a very nice and comfortable stay at the holiday inn rotorua. Staffs are very friendly and helpful. The room is clean and tidy. The room view is very nice and bed are comfortable. Morning buffet are very nice. I will book this hotel when I'm going again. Highly recommended. It was a great stay. Only thing what is missing is spa and pool to be close not open as it is now. We need to go and pay to Polynesia spa to have that part of holiday . In our previous stay in Sudima they have had spas for guests available.Specially spa , would be nice to have private spas as well. Otherwise was great. Thank you. My stay in Hotel Holiday Inn was very wonderful. The room was spacious and it could accomodate 2 adults and 2 children. Breakfast was also free of charge for children that were travelling with us. 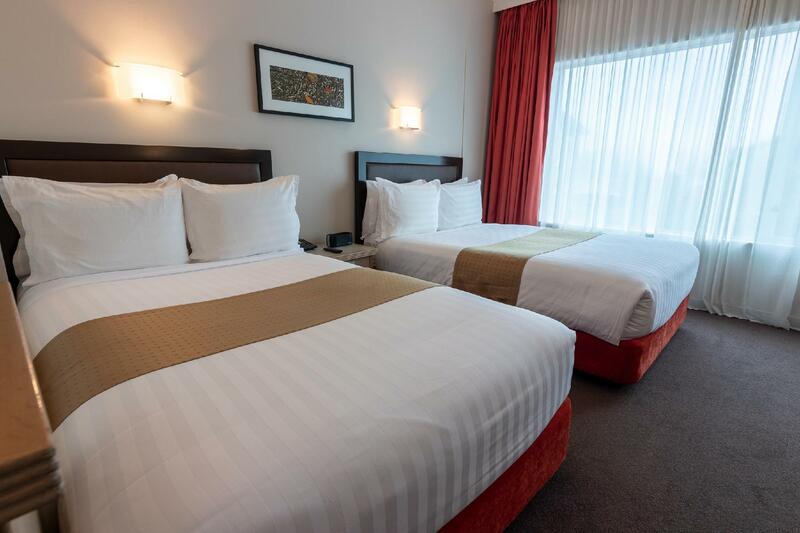 The room was very clean and the staff also very pleasant and they were so helpfull. I will recommend this hotel to my friends. Great value for the quality of its facilities, room service was great as the quality of the food really surprised us. Room was clean but can do some renovations to improve some areas of the bathroom. Facilities A+, beds the most comfortable beds ever and interactions with all staff were very friendly, staff extremely helpful. Staff at restaurant were very helpful and kind to my 23 months old daughter. They took the extra steps to ensure her stay at the dinner place a fabulous one.